This extract is part of an unknown document by an unknown author. There are some errors in the dates, they don’t match other more reliable sources. Baraniecki gives us the first reference to pastoral care in Manchester. In a letter of 4 May 1882 he noted when asked to go to Manchester that ‘there is a Polish priest by the name of Szulc who most certainly serves the needs of the Polish community there’. Nothing else is known about this early ministry. Lassberg gives the next evidence of the Christian Polish population in Manchester which he began visiting every third month in 1888. He estimated the population of the Poles and Lithuanians as 300 who earned their living as slipper makers. He noted some 1100 to 1200 Jews of Polish origin living at Cheetham Hill Road and he commented that ‘I have not met a Jew who would not understand me if I spoke in Lithuanian or Polish’. 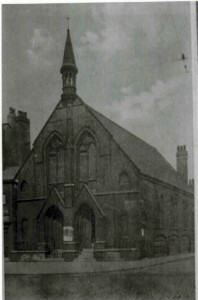 The Christian Poles met in St.Chad’s Church in Cheetham Hill Road. Over Christmas 1889 Lassberg stayed in Manchester for five days. 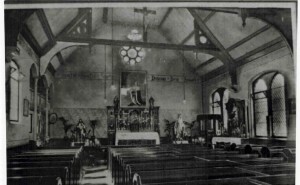 He assembled the Polish community in the small chapel of St.Wilhelmina where he had a ‘freer hand’ than at St.Chad’s. On the Sunday before Christmas some 200 Poles and Lithuanians gathered for Vespers and a sermon. They were collecting money for standards (banners) of Our Lady of Czestechova and St.Casimir. While no records are extant, it appears that Lassberg stayed with the community in Manchester for a number of years, at least until 1893. He is described as their leader and chaplain in an account of 500 Poles and Lithuanians from St.Chad’s, Cheetham Hill taking part in the Roman Catholic Whit procession which started in Albert Square in 1893 accompanied by their banner of St.Casimir, ‘their patron saint’. A similar account appears for Whit six years later, but Lassberg is not mentioned and the number of Poles and Lithuanians taking part has dropped to 200. They were, however, described as being based at St.Chad’s and that ‘they live chiefly in the neighbourhood of Rochdale Road and Ancoats and are engaged for the most part in boot and slipper making’. In 1903 Father J.A.Foltin arrived in Manchester from Gliwice. It is not known if he was originally of Polich or German origin. He certainly spoke Polish. 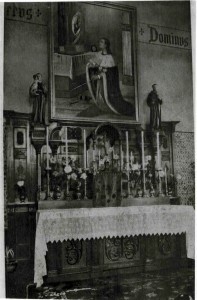 After some preparations he open the first Polish church in the city in 1904. 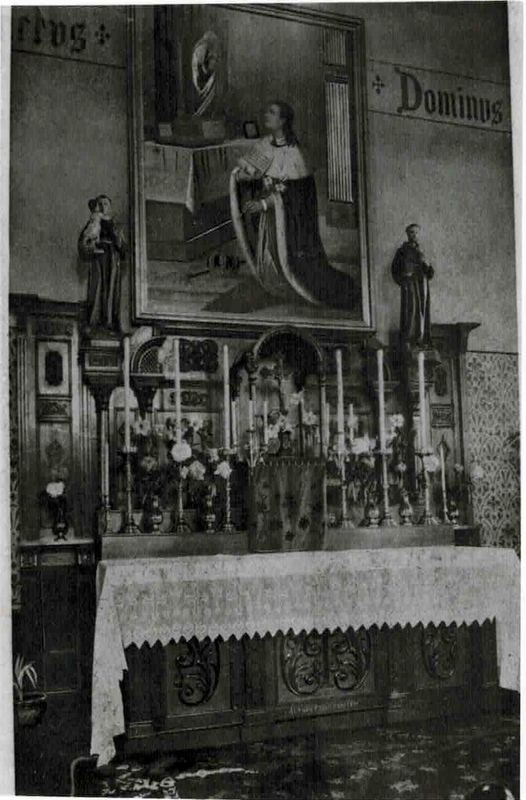 It was called Šw.Kazimierza (St.Casimir’s) and it was to exist until 1930. It was founded by the mutual efforts of the Polish, Lithuanian and Russian [Rusniy? White Russian?] immigrant community. The group first met informally in a first-storey room [Pilling Street?] 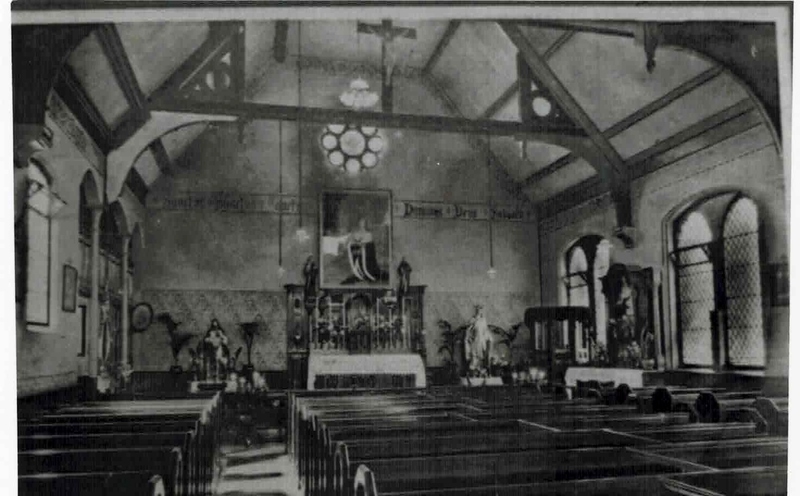 but they soon had collected enough money to establish St.Casimir’s at a church in Oldham Road. This entry was posted in History 1860-1948 and tagged church. Bookmark the permalink.